Camelot , received for the 4th straight year the coveted “White Glove Award” for room cleanliness from the prestigious Superior Small Lodging Association. Camelot recently received an additional award for 2018 from the Superior Small Lodging Association for Delivering Superior Guest Services, Having abundant Guest Amenities, being Pet Friendly, and having an Impressive pool area for guests and families. Our GM, Vickie and her staff do a wonderful job of keeping our guests happy and appreciated. Camelot has newly remodeled rooms with fully equipped modern kitchens. This unit, like all the others, has granite counters, microwave oven, gas top stove, cookware and utensils galore, and pillow-top posterior-pedic mattress. These are standard features for this nice upscale boutique hotel. Every room is unique at Camelot. There are 20 different rooms and 10 distinct styles to choose from ...all designed to find the room that will best fit your personality and give you a better hotel experience when you visit. Looking for ..a 'Family Friendly' room... 'Romantic' or 'Intimate' .... ' Beach Friendly'.... 'Luxurious' or 'Elegant'...Camelot has many style rooms to choose from. If you are the type of person that believes a clean well furnished hotel room is a very important part of having a good vacation, then Camelot will naturally be one of your top choices. Tripadvisor ranks Camelot for 2018 as the #2 Specialty property on Clearwater Beach. A 5 time Award of Excellence winner means you can book with confidence as Camelot consistently exceeds traveler expectations for a small boutique property. Our unit is furnished to appeal to couples and newlyweds, as Camelot has hosted many happy weddings over the years. The property allows our guests to purchase liquor and food so they may cater a small private party on our rooftop sundeck for the entire wedding party. There are no additional charges for this service. The larger hotels would easily charge a few hundred dollars for this amenity, or make you to buy the liquor from them at triple the cost of the local liquor store. The smart internet savvy shopper is our best customer. After a little research, you will find Camelot's Standard room is considered a deluxe suite at the larger franchised hotels. These hotels charge $195-$285 a night for a room considered standard at Camelot for half that price. The property has a great pool area with a year-round heated pool. The pictures show that Camelot appeals to couples and small families with many amenities that the other small hotels simply do not offer. For example: Our unit, provides high quality plush bath towels like you would receive if you stayed at a Hyatt or Ritz Carlton Hotel. Camelot also provides over-sized beach towels so guests do not have to pack something so bulky, nor do you have to wash them before repacking a towel full of beach sand. That is just a few of the nice extras Camelot provides to all their guests. Our unit is “pet friendly” like many of the units at Camelot. We understand that your pet is just like a family member so we allow you an opportunity to show us your pet is hotel friendly. There is a reasonable additional fee of $25 per day, with a maximum of $75 per week for bringing a pet so the staff can sanitize our room after you leave us. Simply let Vickie our on-site manager know this when you request a rate for your stay. Camelot is one of the few small beach hotels that offer free on-site parking... space is limited but you won't have to pay extra. The larger franchise hotels on Clearwater Beach charge $10-$15 a day extra for this amenity, we consider standard at Camelot. Please understand parking can be difficult during our high season as it is physically impossible to accommodate 20 vehicles in an 11 car parking lot. Our unit comes with free high speed WI-fi internet. This service is offered free to all our guests and can be used anywhere on the property. Granite Counters, Stainless refrigerator, microwave oven, lots of cooking supplies, glasses, dishes, utensils,some have blenders, toaster ovens...tons of great cooking goodies to make a full family meal. Live Web cam for guests to have friends see them staying at Camelot. Guests like to do Sunset Toast to friends during their stay. Live feed is connected to our website at VisitCamelotResort.com Camelot itself is a unique property in that there are 22 individually decorated units and 10 different styles of rooms guests can choose from...Returning guests truly appreciate that they can pre-book a certain style room. All rooms are Smoke-free, although we have nice Smoker areas set up throughout the property. Our room was comfortable & a good size. The location is perfect with many restaurants within a 0.4-0.5 mile walk, the beach just a block away, a little park right behind the hotel. We definitely would stay here again! The room was clean, as advertised. The staff were very friendly & helpful. The 2 things that could be a bit better are: the bed was a little too soft for our liking & the next door room had their tv on loud the whole first night we were there. We rented a 1 bedroom, 2 baths spacious condo. We arrived to receive a very small one room, one bathroom studio. There was no one there when we checked in so we were stuck with what we had. (The office hours are only from 10-4 and if you need anything outside of those hours, there is a $40 fee) My family does not usually complain. But we were sitting at the pool area and another customer checked in and complained of the same thing (deceiving pictures from a booking website) We finally spoke up after that and was told that we needed to wait until the next day until the GM was there. We did just that to our continued dissatisfaction. When the GM came in the next morning at 10, we advised her of the situation, which apparently she already knew about because as we initially started talking about it she was very combative and attempted to blame me, the website, and everything else instead of taking absolute responsibility for this bait and switch. Eventually she did come around after she went out and found the listing in VBRO herself. I think at that point, she became genuinely apologetic. She did refund us $96 and offered us a candle. But honestly it was too little, too late. There were some positives to the stay which is why they received 2 stars instead of one. Close walk to several great restaurants. Pet friendly - which is fine but the walls and doors were so thin, we constantly heard barking when the owners left their pets in the rooms. You were correct in what you read about two bathrooms. We checked our ad on VRBO and for some reason they did have 2 bathrooms listed, we have corrected this as all studio's at Camelot have only one bathroom and a mini well equipped kitchen. we will do a better job of explaining that. One good thing from this review, readers can see our GM Vickie does care, and will do her best to show a guest we care by offering a room upgrade or even giving money back if that is what it takes to make things right. With regard to towels. Camelot special orders very fluffy plush towels, and we found that guests like to keep them as Camelot souvenirs, we are flattered, however, we need those nice towels for everyone. Vickie apologizes for being protective of these towels, that is why we also provide complimentary over-sized beach towels to use during your stay. Thank you for highlighting our many Pros....we especially appreciate you writing about our clean rooms and property. The important thing to see when reading your review. Small problems will come up from time to time, and our GM Vickie shows that she will take many steps to try and make you feel satisfied when you experience a problem. Hope this reply better explains our handling of your concerns and the actions we have taken to prevent this in the future. Nice, comfy, and great location! Will definitely be back again! The owner was very sweet and extremely helpful. 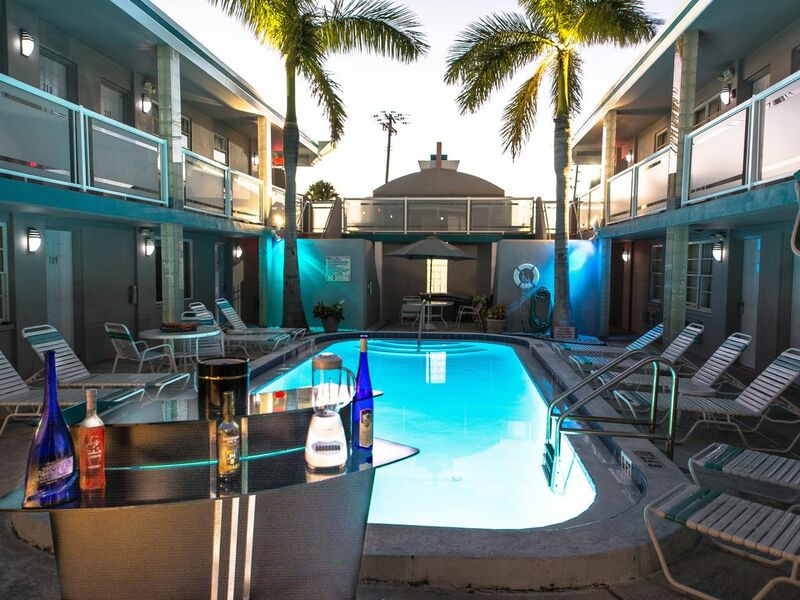 Had a great stay , very clean, close to beach, with-in walking distance of bars, restaurants . Property was sold out so no parking , Vicki was very helpful in getting us a parking spot, but we were afraid to move our car while there as we might not get a spot again. They have about 20 rooms give or take and maybe 10 parking spot. We wrould stay again if they had more parking spaces. Thank you Angela for telling us you had a great stay. We try very hard to deliver a high quality room for a fair price. Clearwater Beach during Christmas week with the Outback Football Bowl game, and a New Years Eve fireworks extravaganza fills the beaches to capacity. Camelot has 11 parking spots which is better than every little property around us.... we know, sometimes, it is still not enough. On a good note, we still don't charge our guests for parking when we could easily get $20 a spot. That should tell you and other guests considering us just how much of a good value we try to deliver for your vacation dollar. For next year the City is building a new 5 story 750 car garage 3 blocks away. That should help with the parking challenges. Clearwater Beach is consistently rated as one of Florida's best beaches and tourists love our sugar sand beach in front of our hotel. I am glad to see my GM Vickie did all she could, and was successful in finding you parking. That goes to show you just how hard my little Vickie goes to make our guest experience a memorable one. Hope this encourages you and others to keep Camelot on your vacation plans. What a great place! My husband and I have stayed twice already and will be planning another return to the Camelot. Vicki and her staff are incredibly friendly and accommodating. The rooms are clean and adorable. Our plan is to return every year and rent a different room each time since they are all furnished differently. We hardly took our car out since there the beach, restaurants, bars, and even 2 convenient stores are steps away. Do yourselves a favor, book and stay at the Camelot! My family had two condo-style rooms at the Camelot this weekend. One was a studio and one had 1bedroom, 2 bathrooms and a living room. We needed a pet friendly place and this was a great find! Both rooms were very clean and comfortable. They are well stocked with everything you could possibly need. The pool looked beautiful, but the weather was a little too cool for us to try it out. The location was great with perfect access to the beach just across the street and everything we needed was within walking distance. Lots of food choices and shops nearby. We had a wedding to attend just down the road and this was just a short walk. The staff was so friendly and helpful! They really made you feel at home. Vicki helped with reservations and check ins and Bob quickly secured us a room when we arrived 1 night early! There is limited parking, but we got spots and felt very safe here. We will come back again for another visit!